The National Women’s Team will be competing at the Division 2 Group A IIHF World Championships in Gangneung, Korea in April. 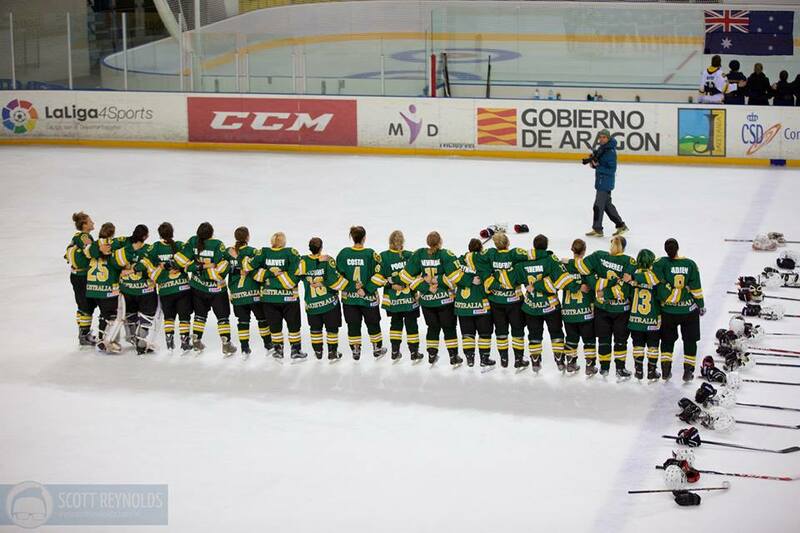 After winning last year’s Division 2 Group B World Championship in Spain, the girls are focused at competing for another medal. Lindsay McAlpine and Stuart Philps are back again behind the bench and will be joined by 14 returning veterans from last year’s gold medal winning team. The mission ahead provides some tough and unfamiliar competition as the Aussies take on South Korea, North Korea, Great Britain, Slovenia and the Netherlands. It has been two years since the Aussies competed in Division 2 Group A and the dynamic of the group has changed since then. Slovenia appears to be a familiar foe however the two teams have traded blowouts over the years with a 7-3 victory in 2013 but a 5-1 loss in 2014. Needless to say it will be an exciting and challenging tournament ahead. The team heads to Sapporo for a 5 day training camp prior before taking on North Korea on April the 2nd.